Coffee is what we needed. It was a beautiful weekend. We came across this place when walking towards the Subway. Right after celebrating the 25th Anniversary of the fall of the Berlin Wall. By accident. Serendipitous. Lovely experiences often happen like that. 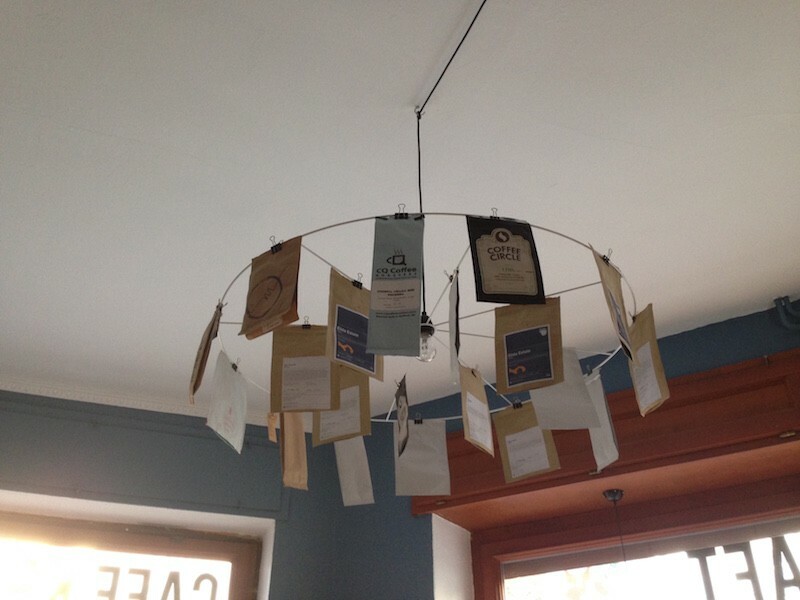 Café Kraft is an adorable little corner coffee place in Northern Prenzlauer Berg. Yes, this is not the most touristy of places or even convenient. However, if you happen to be exploring the area near Mauer Park it is worth the 10-15 minute walk. Otherwise just take the U or S Bahn to Schönhauser Allee Station and walk 5 minutes. These guys have done a great job with the design. It is intimate, inviting and somewhat industrial. Hip without trying hard. 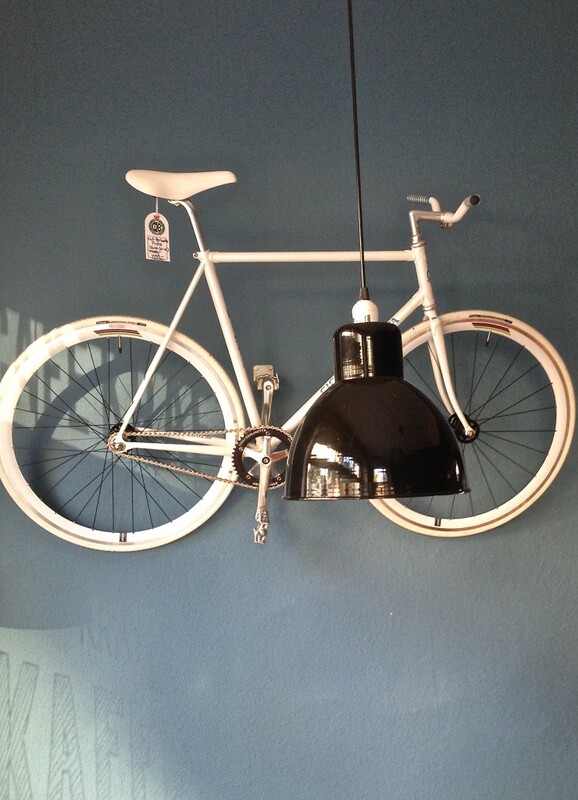 We particularly like the Coffee-bag-light fixture and the bike (for sale) on the wall. The color scheme is also quite lovely and charming. Cafe Kraft is just one of those neighbourhood gems. The coffee served here is prepared with extreme care. 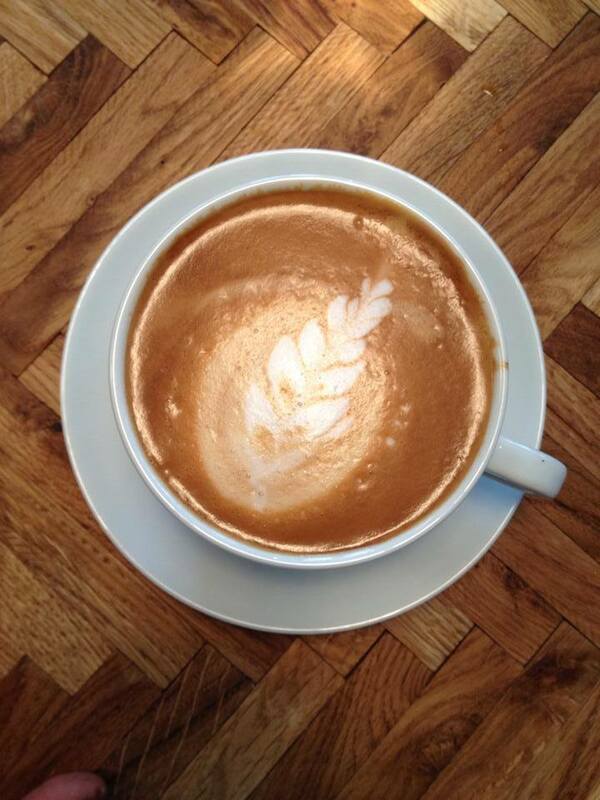 Our flat white was on point and delicious. At the time of our visit they had a minimal selection of pastries and sandwiches. To be fair we did not try those. It was, after all, about the coffee. And it was awesome! 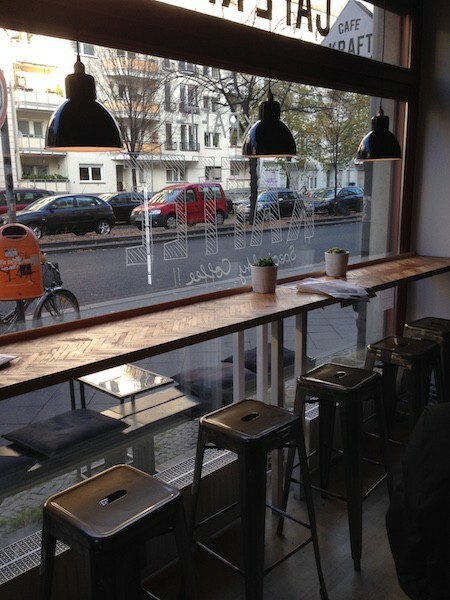 Explore Mauerpark and the surrounding area. Make sure to visit the Flea Market on Sundays. It is one of Berlin’s best.